Make Stardust your one stop place for FUN - a place to make everyone happy! We feature Mid-Michigan's ONLY boutique bowling, one of the longest running craft beer bars, as well as arcade and bowling. Come to Stardust as an afternoon out or as your number one spot to plan one of-a-kind birthdays, sporting banquets, lock-ins, and fundraisers that everyone can enjoy. We have the highest level of service and love to help plan any special occasion and make it successful for everyone with minimal work for you. Birthday's, Anniversaries, Holiday Parties, Class/Family Reunion Meet and Greets, Fundraising, Sports Banquets, Team Building, Wedding Rehearsal Dinners, After- Prom lock ins, Business meetings/ Networking event, Retirement parties, Field trips; are a small example of occasions we have hosted successfully. If there is a reason to get together with a group, let Stardust be the placed to meet. Call us to see what fun we can plan for your group outing! 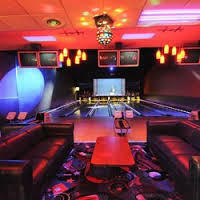 25 Public Lanes-With plenty of open bowling times, most of the time our exciting cosmic light show is on, with Mom- Approved music videos on 3 HUGE projection screens over the lanes. 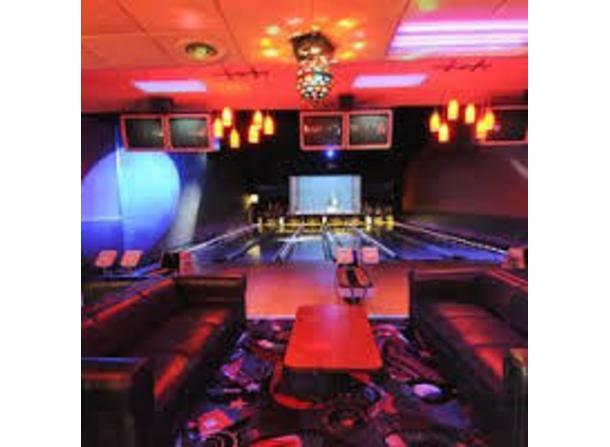 VIP Suite-6 Private boutique lanes bowling with comfortable couch seating in a room that seats over 60 people! VIP can be rented for any event that needs the special feel. Arcade-over 55 Exciting arcade games with a huge selection of prizes. Taproom-41 handles of some of the most delicious and sometimes hard to find craft beer around. Beer menu changes daily, sometimes hourly- 8 flat screen tvs through out the room, with couch, booth, and table seating. Aces Bar-Traditional bar with 5 Flat Screen TV's, huge bay windows looking on to the lanes, couch, booth, table seating available. Aces can also be rented for private events. Kitchen-Our specialty is deliciousness! We carry all the classics just done in a gourmet way with several starters, numerous specialty burgers, salads, sandwich, wraps, nachos, and of course pizza, which we make our own dough in house. We even cater.